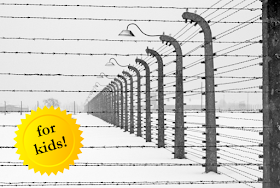 The Book of Life: Enough with the Holocaust Books for Children! Yasher Koach! Heidi, I always enjoy your podcasts, but this one was in a class by itself. A really great, thoughtful (and lively) conversation! What an interesting morning drive for me this morning! You did a great job keeping all those voices in line! A very good panel—thanks for the idea of doing this topic. I have just listened to your ‘Enough with the Holocaust Books’ podcast, and was particularly struck by the early comments regretting the shortage of children’s books not directly related to the Holocaust. No explanation, however, was forthcoming. The trauma of the Holocaust naturally gave voice to the horrific and heroic events of the time, but it also stifled other contemporary and/or subsequent stories of Jewish experiences that paled when compared with the real trauma that remains (and will continue to remain) part of the Jewish psyche. I would mention as an example the hundred-thousand Yiddish-speaking Jewish community of the East End of London, England was lost as a direct result of the targeted bombing by the Nazi German Luftwaffe in World War Two. One third of all housing in the district in which they lived was destroyed or made uninhabitable. Many Jews were killed and ninety percent of their synagogues and schools were demolished and the population was forced to disperse. When I asked why their story was not told, their reply was that what they had suffered was as nothing when compared to the real sufferings of their families and fellow Jews in Europe. As a result, I wrote my book “From Here to Obscurity” in 2001, that told their story seen through the eyes of an eleven-year-old, that had to be self-published, as no mainstream publisher would touch the subject, nor did most professional review publications or reviewers, despite the acknowledged high quality of the book. Nor, might I add, did most of the AJL libraries put it on their shelves. (Stocks are languishing with Henry Hollander). I mention my experience to illustrate a reason for the so-called shortage complained of in your podcast. I am not at all sure there is a shortage. Libraries simply have not looked in the right places for their purchases. Individual authors are not the best promoters of their works. Often they are not aware of, or cannot get through, the publishing and promotion barriers. Bookshops want books to be available in book warehouses who want guarantees that bookshops or libraries want the books. (Catch 22). Persistence and ingenuity is required to bring a book to the attention of distributors. I know that libraries suffer from a wide range of restrictions, but I am sure that if an organization such as the AJL were to by-pass mainstream channels and offer reviews of books in the subjects of their choice, in exchange for a discounted price of self-published books, they would get a good response from authors and the “missing” books would come to light. Since writing to you about your podcast ‘Enough with the Holocaust Books’, when I suggested that AJL could by-pass mainstream channels and offer reviews of independently published books in subjects of their choice, I have had an additional thought that I would like to share with you. As you know only too well, the fast development of the digital age is forcing libraries to face difficult decisions as to their future function in society and sadly some libraries are even facing extinction. Libraries rely on mainstream publishers who determine which book to publish, primarily by its commercial value, and then determine its popularity by the extent of their promotional activity. In these matters libraries exert little or no influence. I venture to suggest that an organization of libraries such as AJL, could exert its collective latent purchasing power on the publishing industry by focusing on independent authors who are currently being wooed by the print-on-demand and other publishers, who print, but often do not effectively promote, the books they publish. AJL could commission, and/or offer to review, manuscripts on subjects of AJL’s choosing, giving a guarantee to purchase after publication (at a discounted price) a pre-determined number of books (a reasonable print run? ), that meet pre-determined standards. Authors who will have that guarantee can then either approach mainstream or other publishers with a guarantee of your backing, or self-publish with extra confidence. At the moment AJL provides a service of reviewing books and awarding authors that have already been published. Why not add, or switch to, reviewing manuscripts and so influence the nature and quality of the books on library shelves? Income can be generated by charging authors a reasonable review fee. Libraries and authors are today, the two weakest links in the publishing world. Joined together, the links will be exponentially stronger. I am chairperson of the Sydney Taylor Manuscript Award Competition. This annual competition is open to authors-unpublished in the genre of literary fiction for ages 8-13. We evaluate manuscripts that are submitted to the committee. These manuscripts must adhere to a set of criteria that include literary excellence and Judaic relevance. As part of the prize for winning the competition, the winning manuscript is submitted to an experienced literary agent (a member of AJL) for an evaluation. Many of the submitted manuscripts have been published. 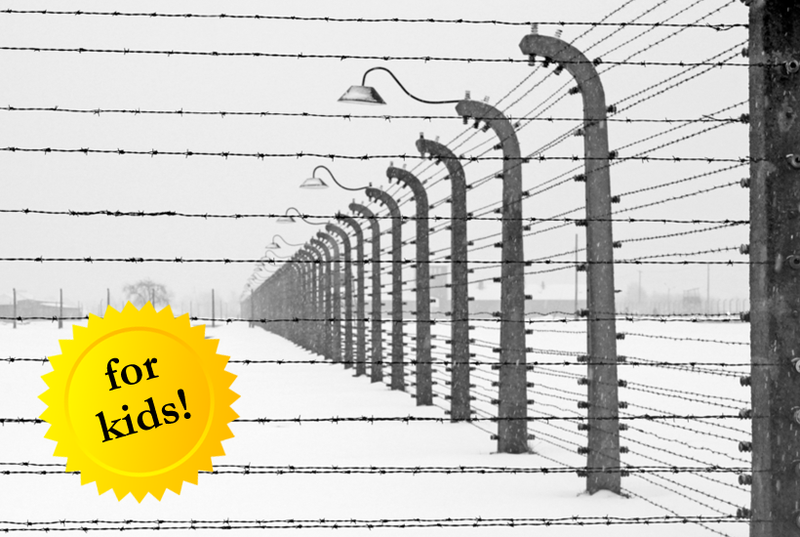 the Holocaust: people , settings, or experiences that have not been treated in books for children. However, most of the submissions are either only tangentially connected to or have nothing to do with the Holocaust or what I call the sacred H of Jewish children's books: heroes, holidays and Holocaust. Unfortunately, there doesn't seem to be a market for many if these worthy potential books. I question if AJL can financially support a publishing program although the idea is certainly worthy. Thanks for your response to my suggestion. The fact that you do already review manuscripts strengthens the idea that this could perhaps be followed through to guarantee the purchase of a predetermined number of books after publication. I am not suggesting that AJL should support a publishing program, but that AJL could support the author by reviewing, and then guaranteeing, the purchase of a specific quantity on publication. Publication arrangements would be for the author to organize. I hope you find this clarification helpful. PJ Library might be a resource or model, when it comes to publishing small quantities of Jewish books. The problem with guaranteeing sales is that not every library has the same needs or budget. There’s no way you can guarantee that any particular number of AJL libraries would buy any one title. The only time I’ve heard of something like this working is through the PJ Library. They can guarantee sales to a publisher because their organization buys a promised number of books for their book-distribution program. So in a way, your idea already exists.. but only for children’s books. The devil is always in the detail, but solutions can often be found if there is a common interest. One way of dealing with the problem of differential needs is that once a manuscript has been validated, libraries can be circulated to ascertain their interest, and on that basis the guaranteed quantity can be determined. Very few ideas are entirely new. PJ Libraries provide a valuable service, but as I understand it, they do not give pre-publication guarantees to authors and in a sense, they circumvent conventional libraries by sending books directly to children in their homes. While the title of the episode is provocative, I hope that if you listen all the way through you will hear that our discussion is not actually dismissive of Holocaust books. What we are really critiquing is the imbalance between Holocaust books and books on other subjects, within the genre of Jewish children’s literature. The panelists and I all felt that we wanted to bring this imbalance to light, and to highlight non-Holocaust titles because the spotlight is so very much pointed at Holocaust books, sometimes to the exclusion of other topics. I do apologize for any distress the podcast may have caused you. I absolutely hear where you are coming from. You are right that the Holocaust should never be forgotten and the stories of the people who suffered and perished should be told. I’m so sorry for your family’s losses. The importance of Holocaust literature was also made in the podcast. Perhaps the title of the podcast was poorly chosen. What I got out of the discussion in the podcast was not that Holocaust books shouldn’t be written or published, but that we need some balance. There should also be choices for our children about other aspects of Jewish life and history to read. My kids are older now, but when they were growing up, I wanted them to read stories about Jewish kids living now who celebrate and practice their Judaism. There are also other times in history that are important to Jews. I am new to your group and assume everyone got this letter. I would like to point out that most children under the age of 13 are not ready spirituality and emotionally to deal with the realities of the Holocaust. I can still remember the first time I saw a film of an American soldier on a bulldozer pushing hundreds of dead naked Jewish bodies into a hole for a mass burial. Not an image one readily forgets. Yet on the other hand, it is a reminder of how insane this world can get. If I might be so bold as to put forth my opinion, books for children is a wide subject and needs to be defined much better. Like 0-3, 3-6, 6-8, 8-10 and 10-12. Children's books are hard to write because of the limited vocabulary you need to use for each age group. It is difficult to get complex ideas across in any depth with a limited vocabulary. Teaching children moral lessons is an excellent thing, but you can't teach a 7 year old the reasoning behind many things that you could to a twelve year old. As an author I once attempted to write a children's book, but immediately ran into trouble with vocabulary. My brother also wrote a children's book, but found that the 9-12 age group would rather play video and computer games than read. From my point of view what is needed is to teach authors how to write for children. What could be better for a writer of a serious series than to get youngsters to read about his characters long before they are able to read his books. It would be a great marketing platform. If I have your attention, I would like to ask you about a totally different subject. How does a new Indie author find beta readers and reviewers? Thank you for your time to read my ramblings. Thanks for writing. “Children’s books” is certainly a very big category and there are many ways to break it down. To answer your question about finding folks to critique unpublished writing, your best bet is to join a writing group. The Society of Children’s Book Writers and Illustrators (http://www.scbwi.org/) is a great organization to join, and they have regional chapters where you could meet other aspiring writers willing to critique each other’s work. I decide to take up the challenge and during the last hour I wrote a simple book about ethics for children using characters from my own stories. It was not easy and in many cases it was very difficult not to use words that children wouldn't understand. Writing such a book is only half the story. Now I have to find an illustrator to cooperate with. I thank you for the inspiration I got from writing to you. Chag Hannuka Sameach and happy writing. Just arrived home from a visit to family in France. I did not see your post previously but I concur with Heidi. Some of our budgets are extraordinarily small and sometimes almost nonexistent so it is very difficult to guarantee that a certain number of libraries will purchase specific books. I listened with interest to your podcast “Enough with the Holocaust Books for Children.” As with many things, one suspects the reason Holocaust literature appears to dominate the publishing terrain at the moment has more than one explanation. First and foremost is surely the fact that the Holocaust is one of those monumental moments of history that had a transformative effect on an entire people. One doesn’t need to be Jewish to see how it would be difficult to ignore something of such magnitude. Since the Holocaust is now so integral to the Jewish experience (and to no small degree the human experience as a whole), one can hardly forgive writers (and publishers) for focusing so intently upon it – particularly when the lessons learned from the horror of it seem to have been ignored or forgotten on more than one occasion since the end of WWII. Moreover, with the passing of each day, the number of survivors of the Holocaust (the true witnesses to it) grows few and far between, so one can assume a certain sense of urgency to record these many and varied stories before it is too late to do so. History has a tendency to fade and be diminished as those who actually lived it are taken from us, thus severing the intimate and “living” connection we have with the past. My novel is listed among those you suggest as literature featuring a Jewish experience that is not necessarily bound by the Holocaust (one of your guests referred to it as “trashy YA”). While I don’t make specific reference to the Holocaust in my novel, I think it fair to say that in many ways the narrative is informed by it. Novels are, after all, often nothing more than allegories for the world in which we live; and though my book is first and foremost an entertainment, it was also my hope that it would lead some readers to consider both the past and the present of the world in which we live. Ultimately, as I believe one of your panelists suggested, it should not be whether a given book focuses (or does not focus) on the Holocaust that matters, but that it is a good story that connects with readers.